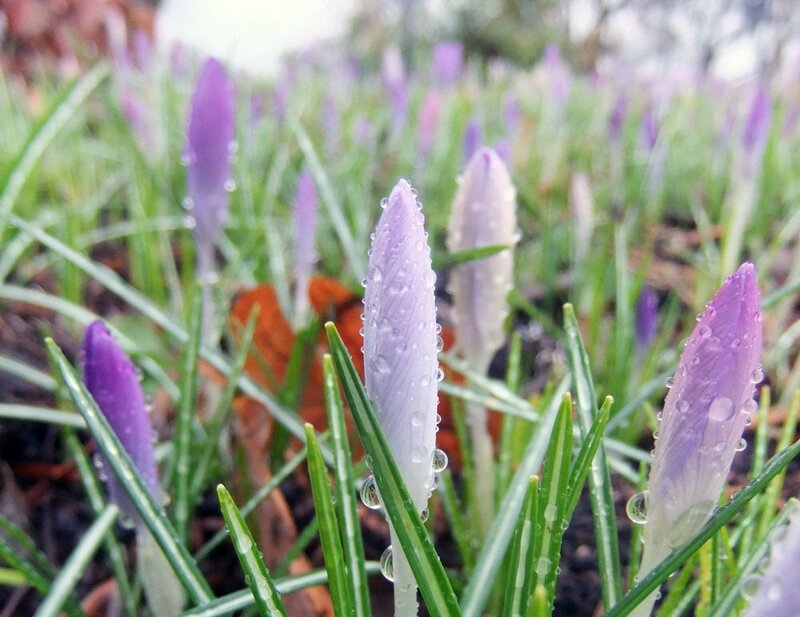 Now is the perfect time to be planting your bulbs. 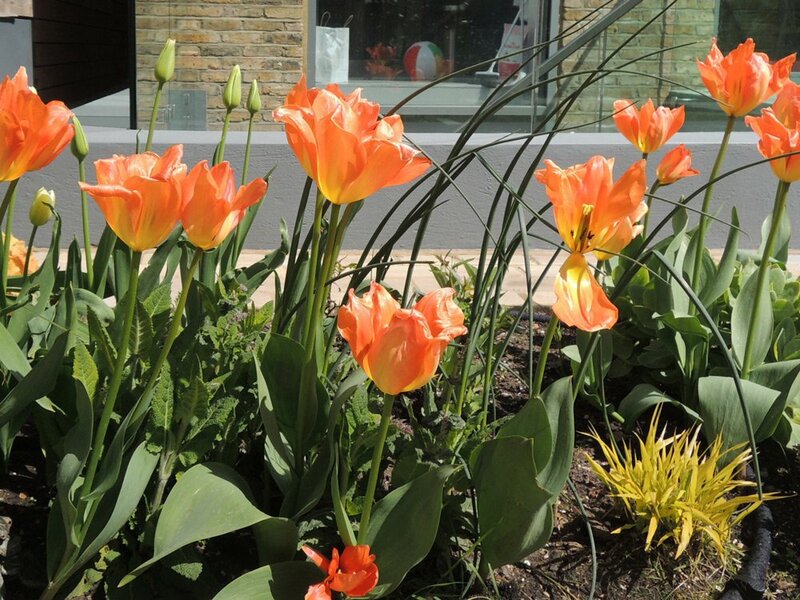 Tulipa ‘Orange Emperor’ and Allium ‘Forelock’ are amongst our favourites this year. We can’t wait to see them come up in spring and early summer after all the back breaking bulb planting. 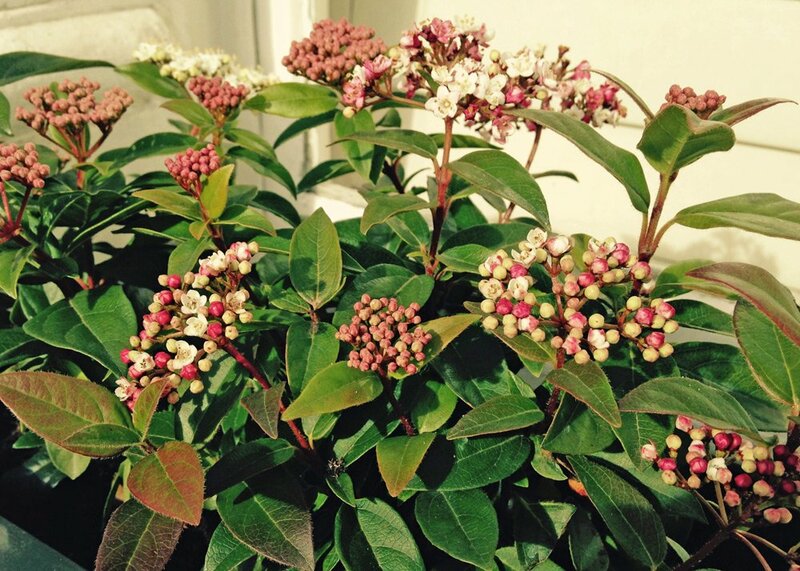 Viburnum tinus ‘Eve Price’ is an easy-to-grow and robust evergreen, perfect for shrub borders or planters. 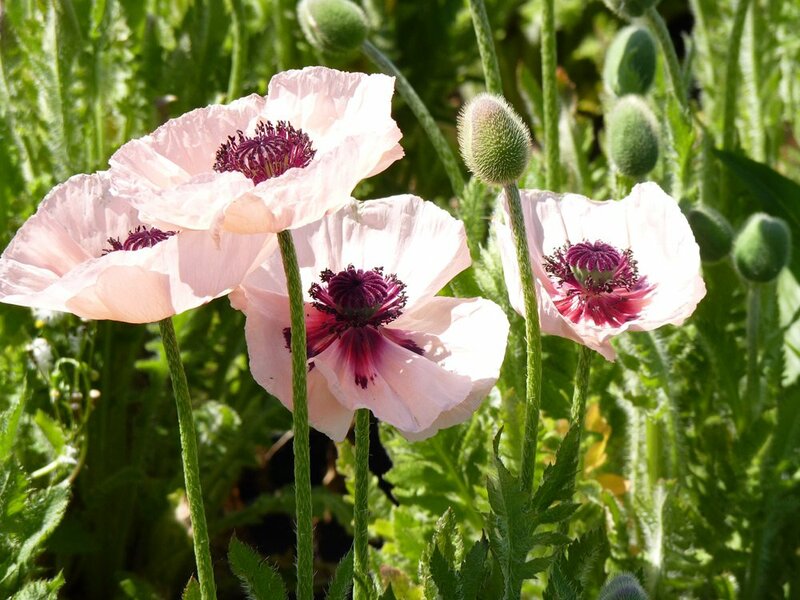 Its deep pink buds open up into tiny white flowers from December to April, brightening up your garden whilst you wait for Spring to kick in. The pretty flowers are then followed by purple berries. 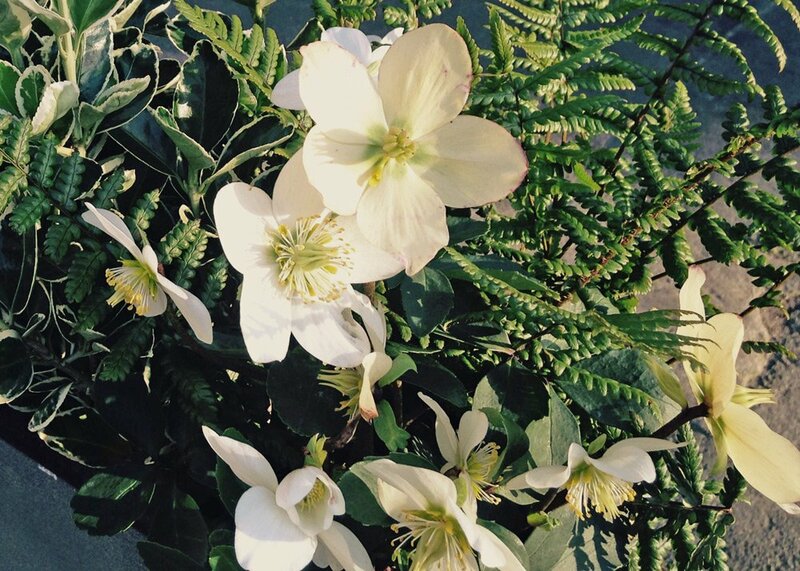 Helleborus niger or Christmas Rose is one of the earliest flowering plants; this useful little evergreen can brighten up shady areas in the garden. This particular variety has dark foliage, contrasted by simple upturned white flowers which stand loud and proud on those dreary Feb days. 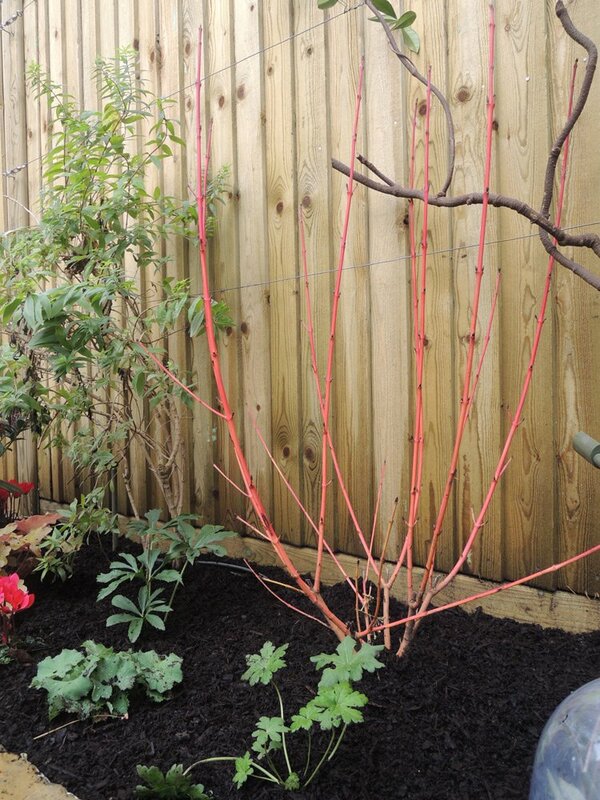 Our Really Nice Plant of the month is the Cornus sanguinea ‘Magic Flame’. 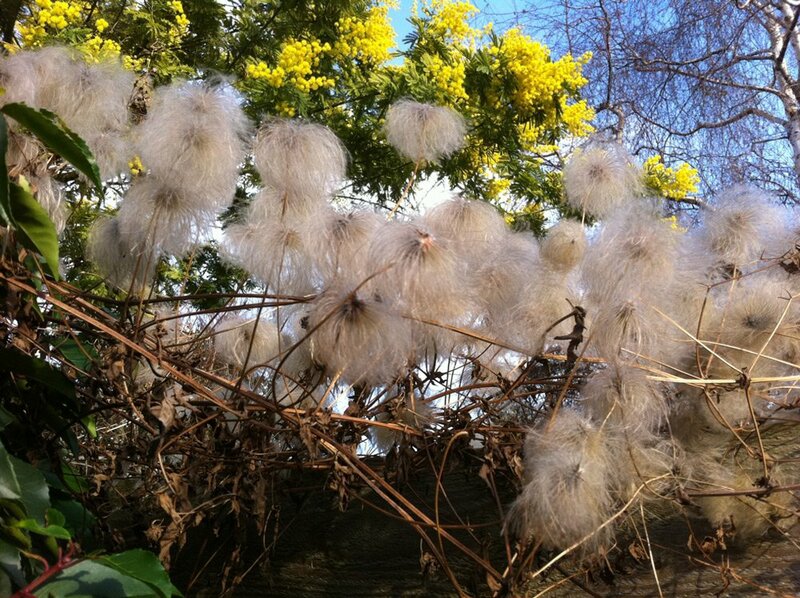 Cornus are fantastic for Winter interest in the garden. This deciduous shrub reveals bright orange and red stems after shedding it’s leaves, which also redden in Autumn. 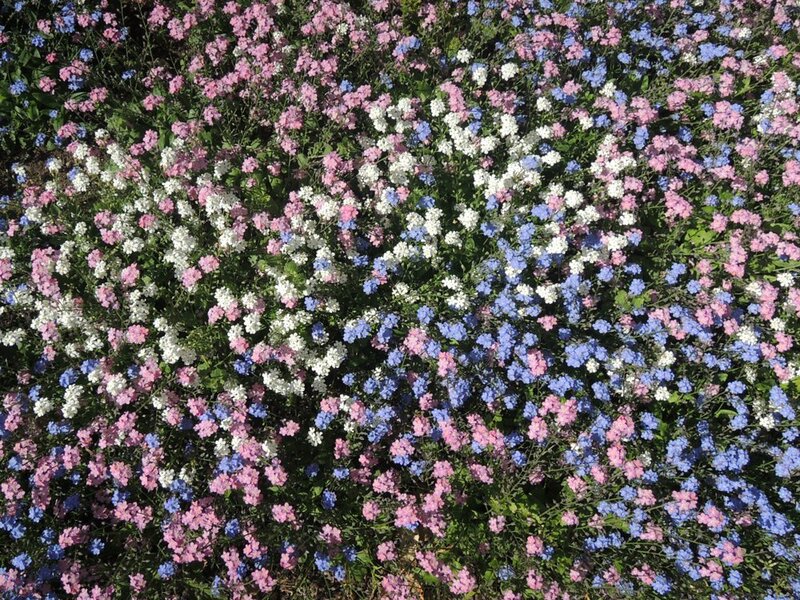 Colours best in full sun but will cope with partial shade. I worked with Cathy on a client’s garden and house in Balham. The garden was re-designed at the same time as the house was extended and remodelled so it was important that the two designs were coordinated an harmonious. I found Cathy a pleasure to work with. She would go the extra mile to ensure that the project ran smoothly, she also has a great eye and attention to detail which ensured that the garden not only looked great when finished but will go on looking great.